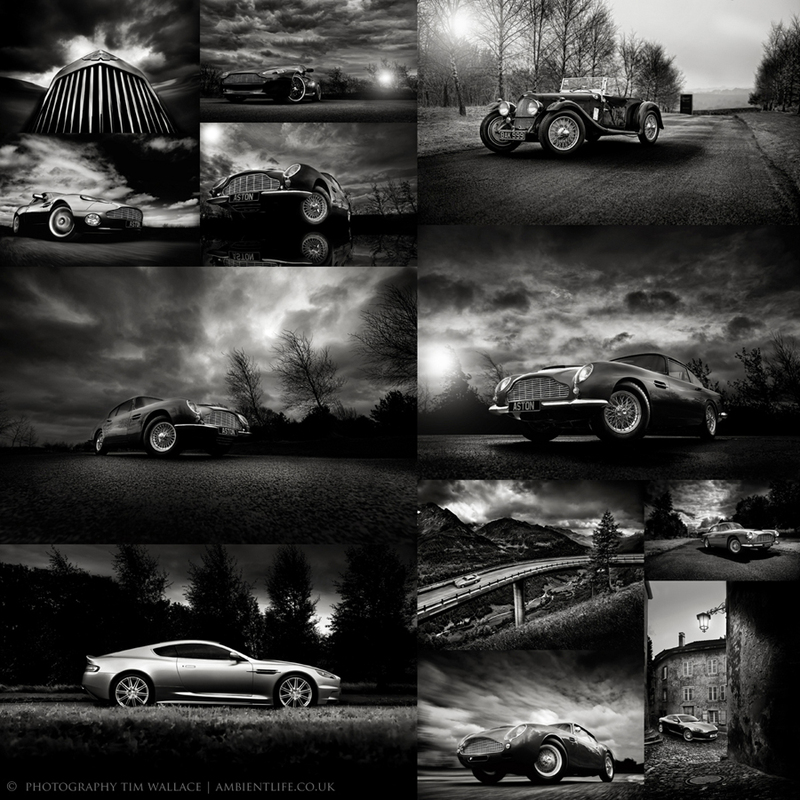 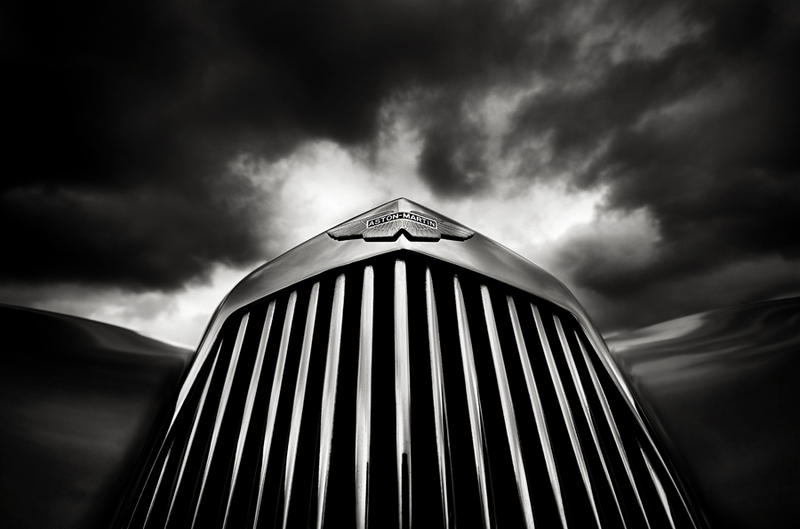 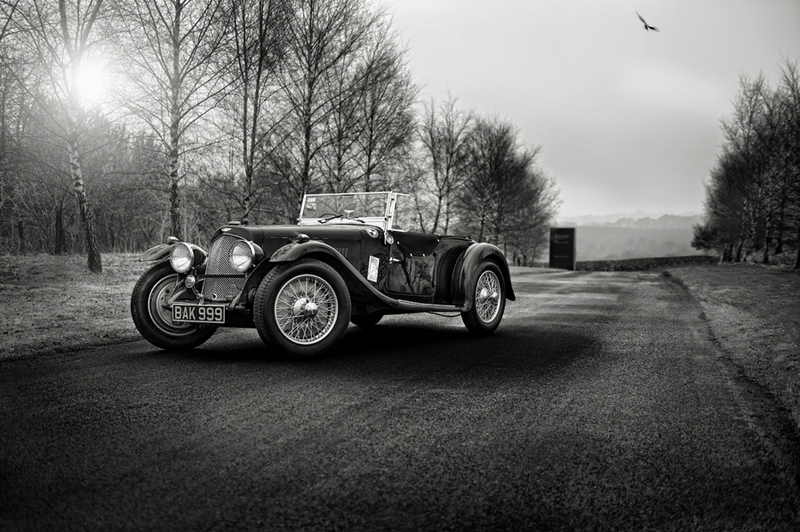 This week saw Aston Art launch a series of new high quality limited edition 'art prints' including a collection of monochromatic prints from commercial car and automotive photographer Tim Wallace. 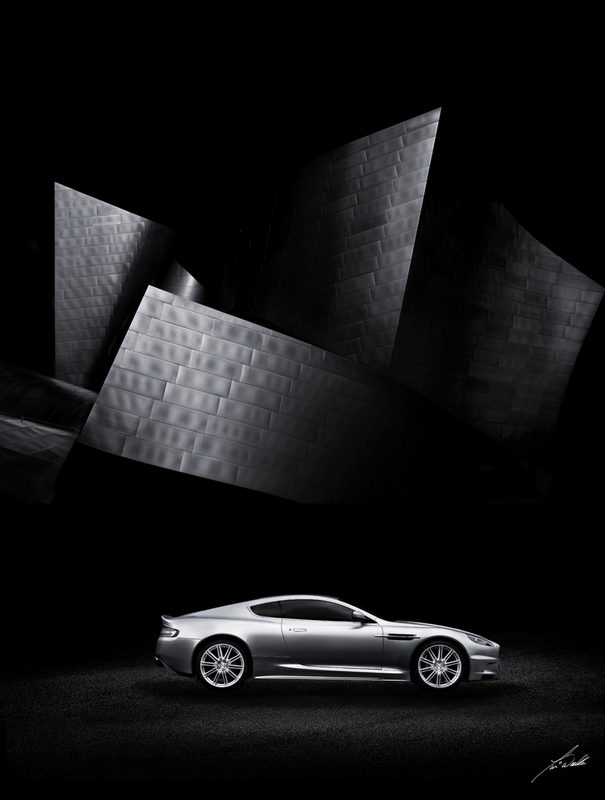 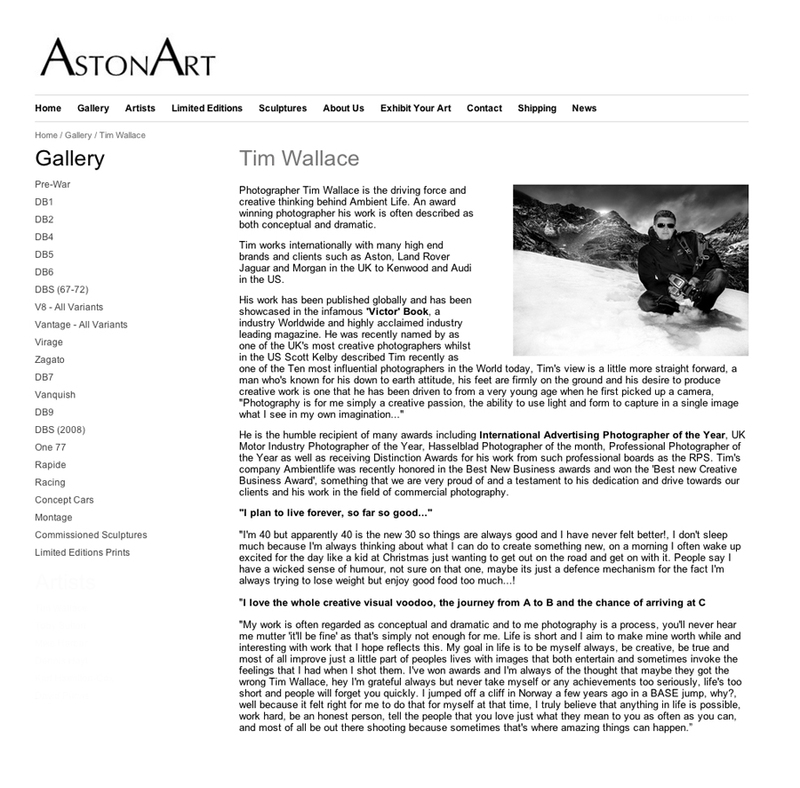 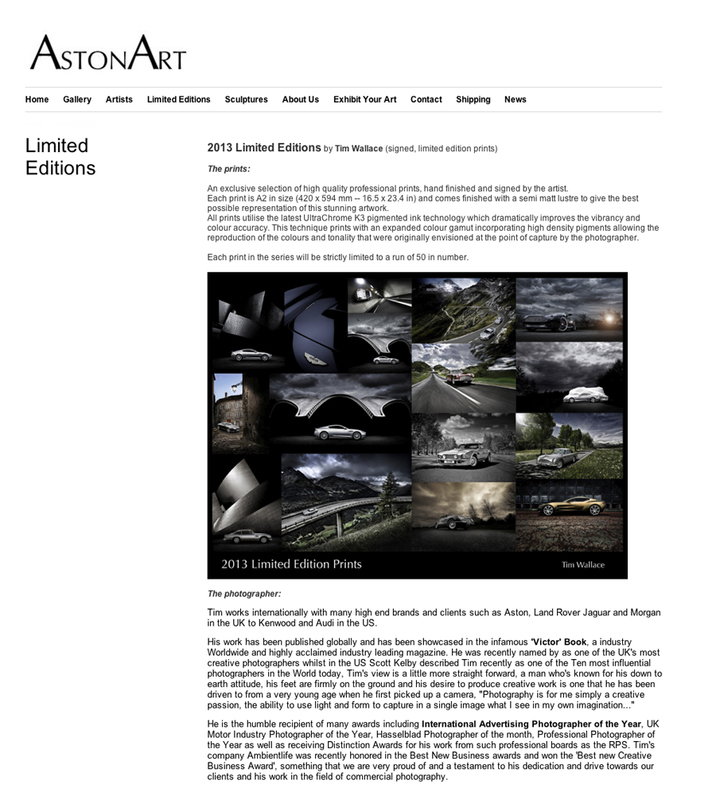 'AstonArt' is a concept that was born following a project to capture the essence of Aston Martin in a contemporary photographic, and modern style through the eyes of photographer Tim Wallace and over the last 4 years has gone from strength to strength with over 80 pieces of art work now being available through the Aston Art dedicated website. 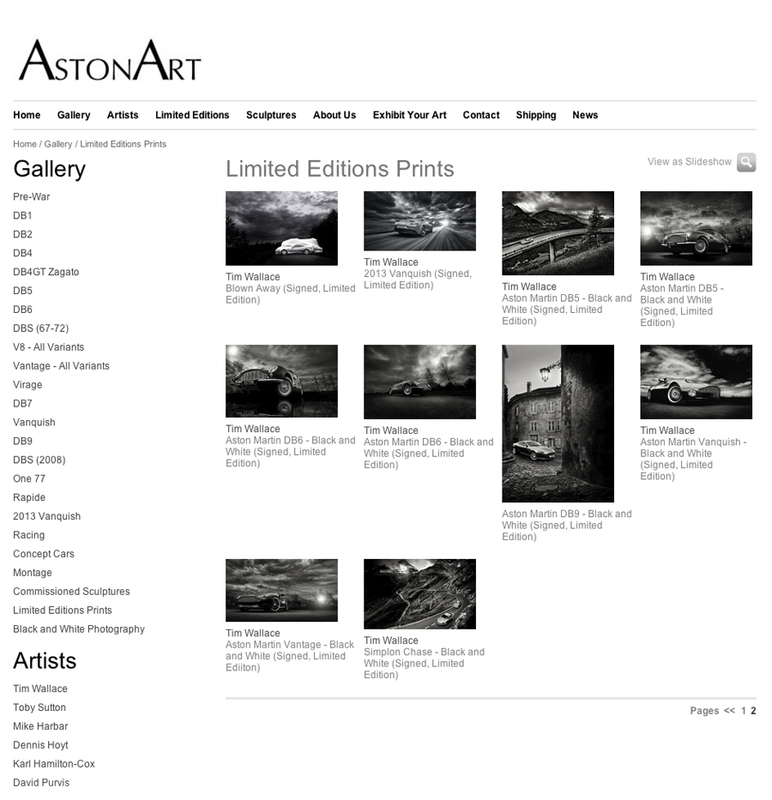 The 'Art' prints are sold quite literally all over the World to both private collectors and also to corporate business for display in boardrooms and reception area's. 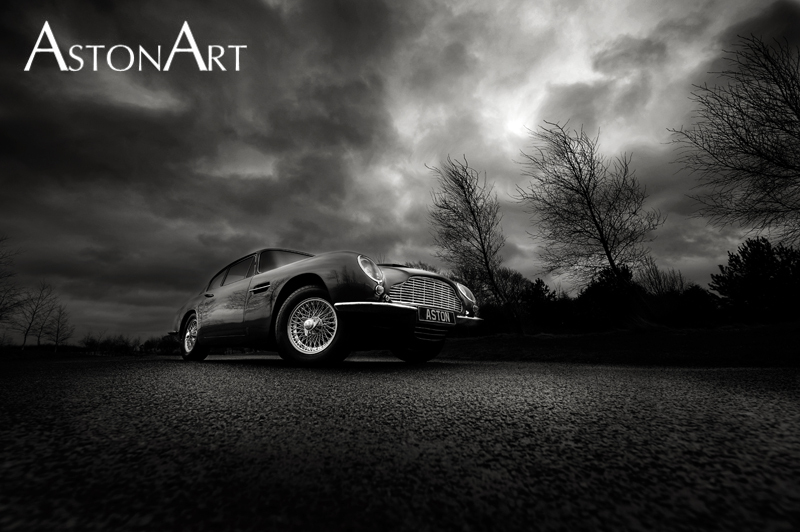 The current Art Portfolios features Aston Martin classics models from the earliest Pre-War cars through to the infamous the DB4, DB5 and DB6 and onto the more modern super-cars of the DBS, V8 Vantage, and One-77.